This zigzag G plastic click pen has a colored plastic barrel with gold trim and uses a simple plunger action mechanism. 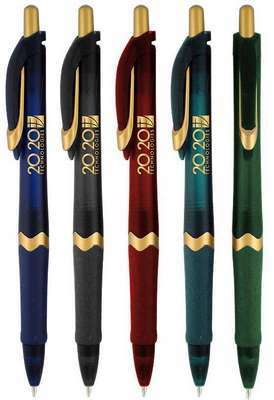 Giveaway these stylized Empire ZigZag G Plastic Click Pens in all your marketing conventions and beam with confidence. It simply looks awesome with its unique wavy accents and hence the name. 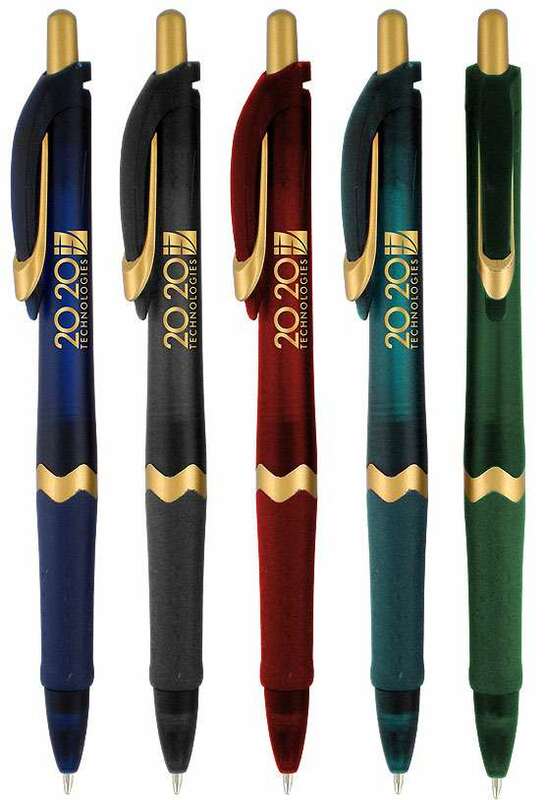 Ergonomically designed with classy black rubber grip for ease of writing it comes in 5 stunning colors on the translucent plastic barrel with enough space for your company branding to ensure maximum exposure. The gold trim metamorphoses these writing instruments into objects of luxury and your customers would love carrying it all the time. 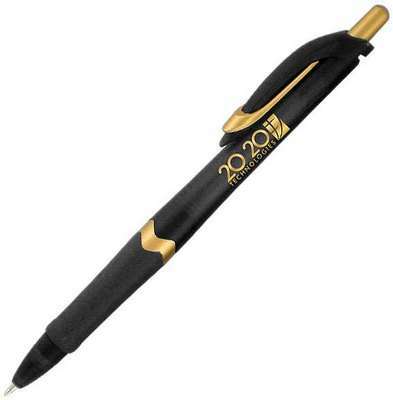 These pens work on an easy click mechanism.